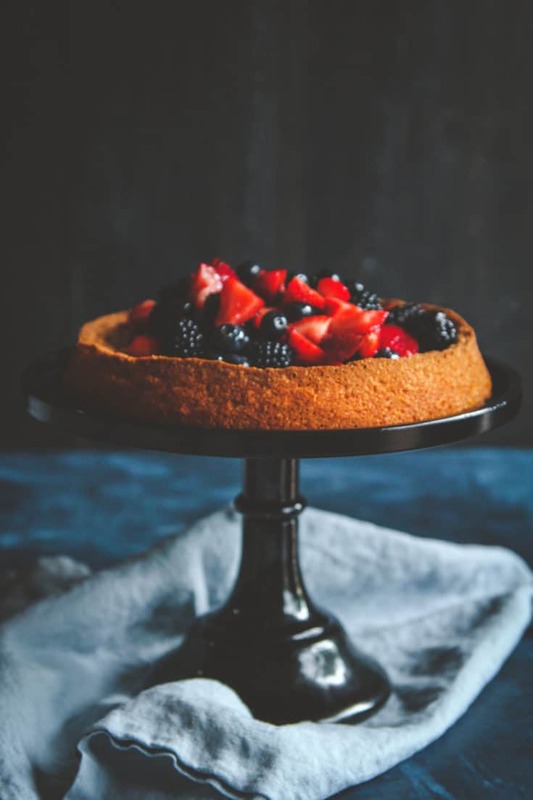 Over the past ten years (plus), I’ve made this gluten free lemon cake (made with almond flour) and honey lemon coated summer berries countless times! It’s light and refreshing with perfectly balanced flavors. I shared this recipe back in 2012 here on the blog, at which point I’d already been making it for years, today I’m resharing the recipe with some updated photos. I love gluten free recipes that really amp up the flavor and taste super good, and don’t even taste like they’re gluten-free. 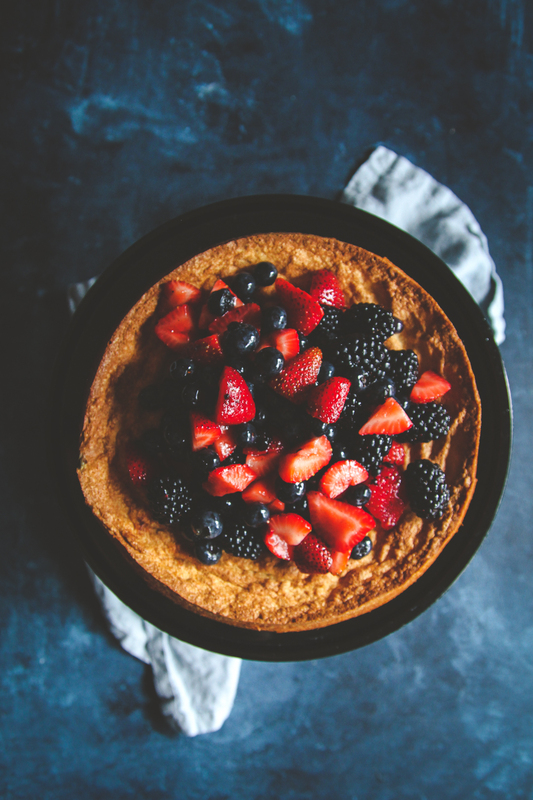 This lemon berry cake is perfect for the summer. 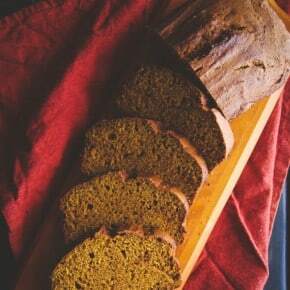 If you’re looking for a gluten free fall recipe, I’d recommend this gluten-free pumpkin loaf. 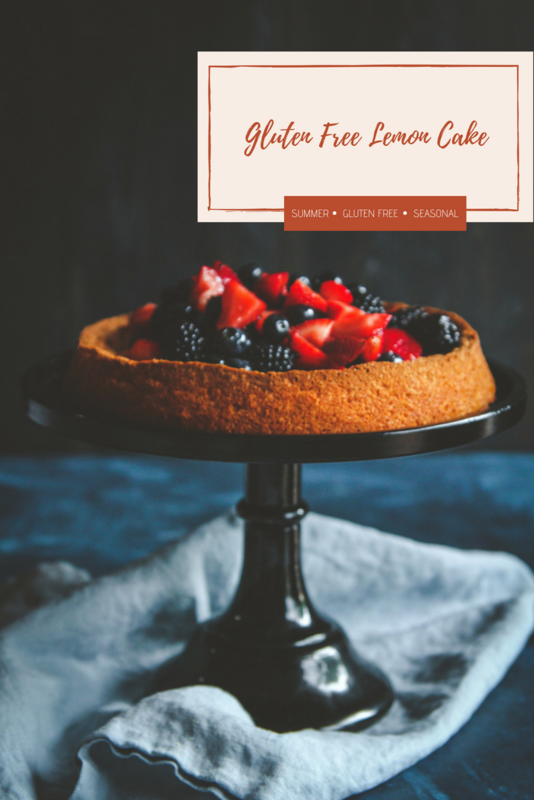 How do you make gluten free lemon cake with almond flour? Folded together, the ingredients combine to make a light and fluffy cake! 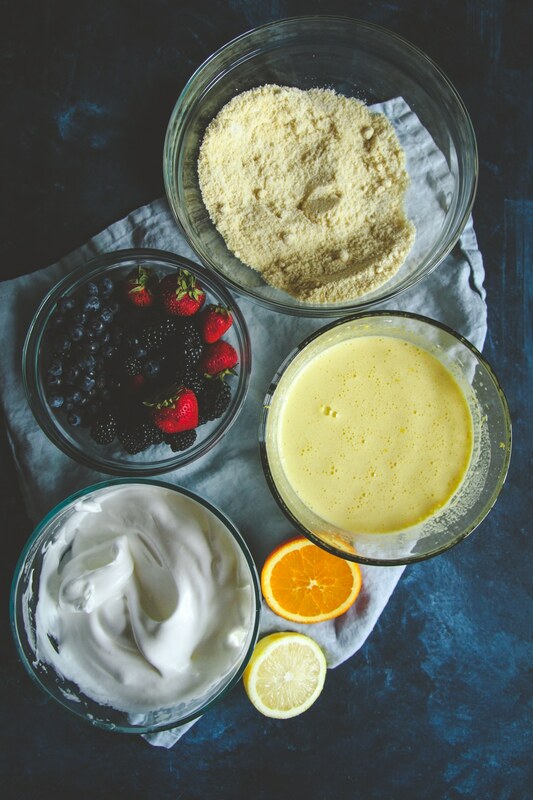 As a cake topping, you’re going to combine lemon, honey, vanilla extract and berries. 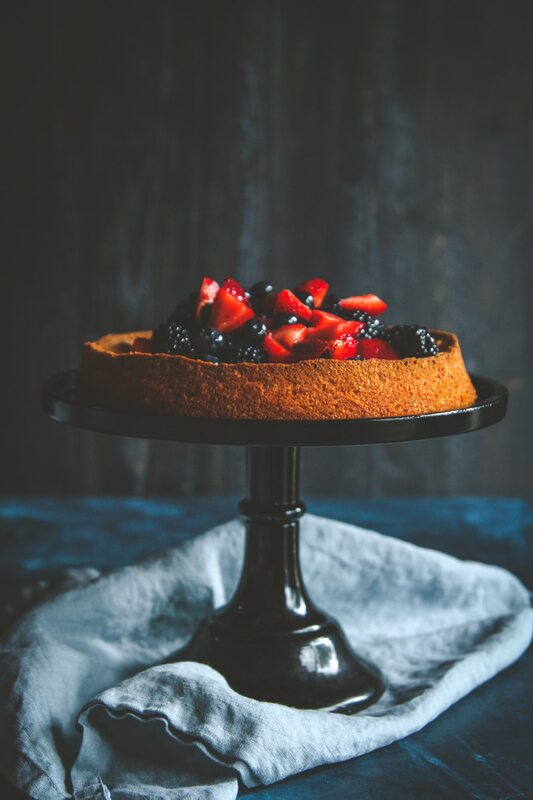 When spooned over the cake, the honey lemon sauce from the berries seems down and adds the most beautiful, hint of sweet sauce to the cake. I can’t tell you how delicious this gluten free lemon cake made with almond flour is, and how many compliments it’s gotten. It’s one of my favorite recipes and is so light and bright and flavorful. If you’re looking for a gluten free cake recipe, I’d recommend this one! Heat oven to 350. Line a springform pan with parchment paper and coat with cooking spray. 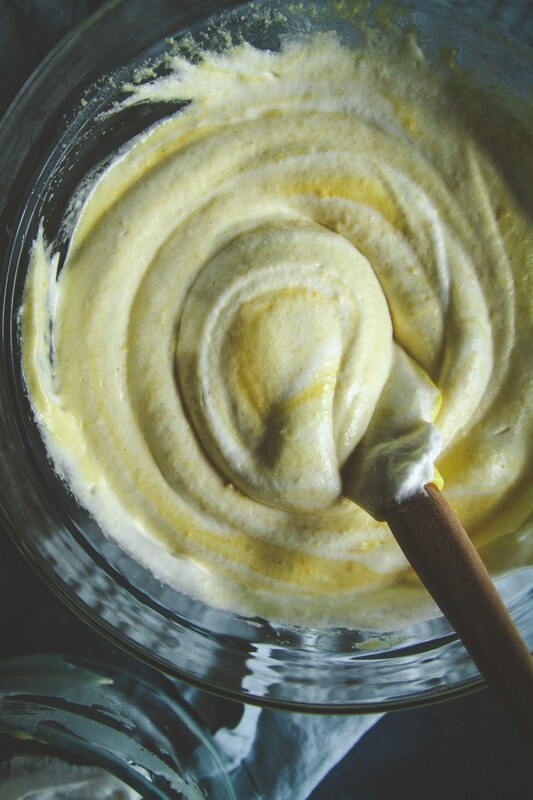 Beat egg whites and salt in a third bowl with an electric mixer until frothy. Beat in remaining ⅓ cup sugar until stiff peaks form. Fold ⅓ of egg-white mixture into batter. Fold in remaining egg-white mizture. Pour batter into pan and bake for 30 to 35 minutes. Remove from oven and cool. When cooled release from springform and gently put on serving plate. Oh, this lemon cake looks perfectly wonderful. I have enjoyed lemon cakes since childhood. My mother used to love making them. Your recipe brought back wonderful memories. I think its my time to make one and have my mother try it. Thank you for sharing. We never had gluten-free cake before (as we both love gluten lol) but the use of almond flour makes this really a recipe we want to try! 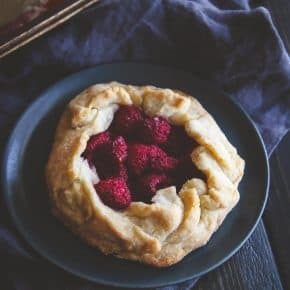 Beautiful photos and delicious recipe dear Phi! This cake is naturally gluten free which I love for my gluten free friends, it’s one of those cakes one would never know was gluten free if one wasn’t told lol! Thank you so much for your lovely comments! I made your gluten free pumpkin loaf yesterday. There are only two of us, with only one half loaf remaining! This is my favorite gluten free bread recipe because it is light, the texture is perfect and all the flavors blend blend together beautifully. We actually tried to cut down on sugar because I have ra and sugar tends to create inflammation. I only added three-quarters of a cup of maple sugar and it is delightfully sweet, but not overly so. I also used avocado oil instead of vegetable oil, but I would imagine that doesn’t make any difference. I lined My Pan with parchment paper and mine baked for 55 minutes. 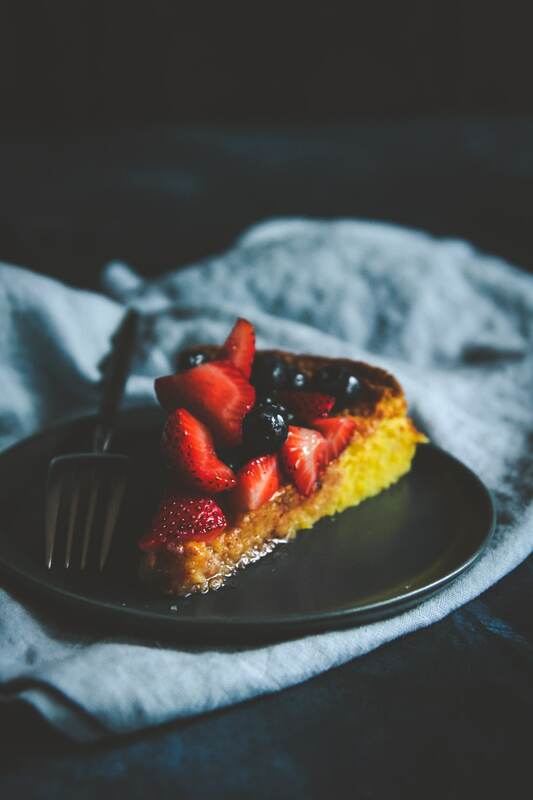 Thanks so much again for this wonderful recipe and now I’m going to try your lemon cake with berry topping… thanks so much again! I think you’ll love this lemon cake – it’s so light and summery tasting with the lemon and berries. This lemon cake looks divine. We do not have fresh berries this time of year. Any other fruit you can think of that would work well?